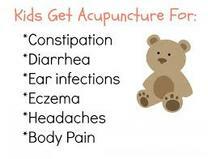 Acupuncture is a safe and gentle procedure used to treat a wide range diseases and to relieve pain. Stimulation of carefully chosen acupuncture points helps re-establish the normal flow of energy. In the case of Chinese Internal Medicine, the focus is on improving the balance within the internal organs through their attachment to the acupuncture points. Patients usually find the treatment surprisingly easy, relaxing and without side-effects. After a course of treatment pain and symptoms are often relieved long term or even permanently. Western Science explains acupuncture in several ways. There is improved blood flow that carries away inflammation and brings nutrients that aid healing. The body also responds by releasing natural pain killers called endorphins and adenosine. Some of the newest research is showing that specific points affect specific parts of the brain. 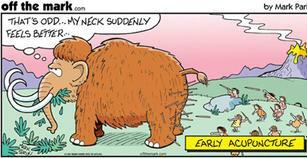 This is probably how acupuncture works for non-pain related conditions. These aspects work together to help people heal from injury, pain, and many other conditions. 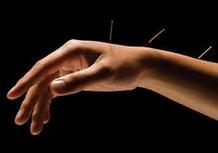 Acupuncture is a healing modality that dates back over 2,000 years. It is based upon the idea that we have a system of pathways of energy that moves through the body. These energy pathways are connected to our physical body. When this flow of energy is running smoothly, we have health and wellness. At times, we develop blockages and imbalances in this energy system from any number of physical and/or emotional factors. When these blockages or imbalances occur, we present with symptoms. Once the medical acupuncture practitioner determines where these blockages are, hair-thin sterile disposable needles are inserted at various points along the meridian system and/or specific muscles to help remove the blockages and reestablish the free flow of energy. The needles are then typically left in the body for at least 30-45 minutes. Acupuncture also has a unique approach to healing in that treatments are tailored to the individual and their level of imbalance, so that healing can occur at all levels of the body, mind and spirit. Community acupuncture is a nationwide movement to create access to acupuncture by removing the barrier of cost from healing. We use points on the scalp and below the elbows and knees to treat the entire body, so there’s no need to undress – just remove your shoes and roll up your pants and sleeves. And yes, we can even address your back pain by treating your wrists. You will be surrounded by other people quietly receiving treatment at the same time. Patients benefit many ways from the community setting. In our busy society, it is not often we stop and take time to relax while surrounded by our peers. This is not a lack of privacy but an opportunity to experience treatment with family, friends and community. As with any intentional group endeavor, the shared state makes individual treatments more powerful. Here, the patients create the healing atmosphere as much as the practitioner. 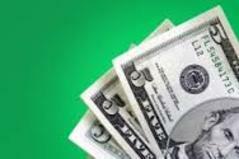 A non-income dependent sliding scale of $20-40, with a first time administrative fee of $10 is used. So, a first appointment with full health history, etc, is $30-50. The sliding scale is meant to help you stick to a prescribed treatment plan, because we know that is when acupuncture becomes life-changing medicine. We receive no outside funding. This is simply how we have chosen to structure our practice and we are proud that We the People Community Acupuncture is a patient-supported social business. We are comfortable with our sliding scale and hope you will be too. Acupuncture can be added to any massage or Reiki treatment. Includes: 6 Reclining Chairs, 1-4 hours, Particpants can bring a yoga mat and pillow if desired. 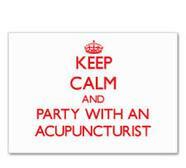 Everyone must have a completed Physician Acupuncture Referral Form. They can be downloaded and printed from the website. All information provided is provided for information purposes only and does not constitute a legal contract between Proactive Wellness Partners and any person or entity unless otherwise specified. Information is subject to change without prior notice. Although every reasonable effort is made to present current and accurate information, LinkNow™ Media makes no guarantees of any kind.